Honadah has an exceptionalabilityto truly understand and relate to clients’ needs and visions. Her Loyalty, perseverance, and excellent problem solving skillsconstitute the excellent real estate agent she is. With client’s needs, visions, goals and objectives at the forefront of every real estate transaction, Honadah never hesitates to go the extra mile toensurethe best outcome possible. Her professional success is credited to the exceptional values instilled by parents and the community upbringing in the USA and abroad. 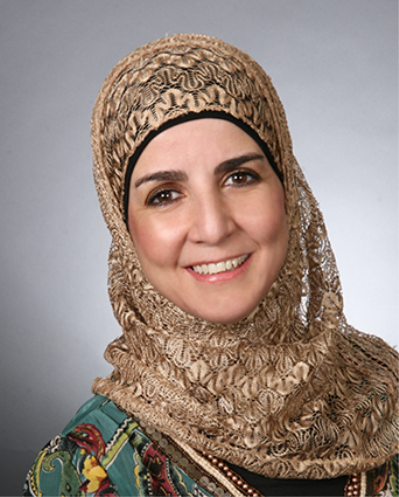 Honadah and her husband resided in Frederick for the past 20+ years. They raised four children who went /are going through Frederick County school system. The family appreciates Frederick County and all what it has to offer from historical to contemporary ambiance. Reach out and contact Honadah Hamad with all your real estate needs. You will be guaranteed exceptional customer service and someone on your side every step of the way!